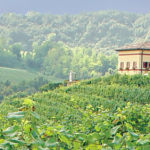 Cartier diamonds and Maseratis aren’t in most people’s budgets, but luckily the saying “it’s the thought that counts” really does hold true in almost every case; this is why personalized gifts can have such a great impact. That said, whether you’re looking to give your loved one something that he or she will not only love, but use (and think of you!) daily or looking to pamper yourself with something unique, it’s not always easy to do that on a budget either, which is why Function of Beauty is such a great find. 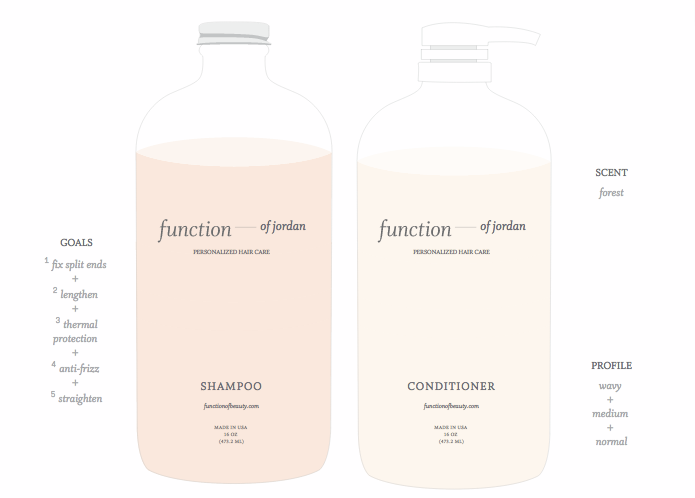 Function of Beauty is a new bespoke haircare brand that lets you personalize a set of shampoo and conditioner. You pick the hair type, the hair structure, its moisture level, five hair goals (anti-aging, shine, etc. ), the shampoo color and scent, and most importantly, the name on the label. There are 450 million different possible variations of the brand’s shampoo and conditioner, so you can literally tailor the product to suit the exact need you’re after. Each of the orders, no matter the choices you make in their quick questionnaire, is made using 98% natural ingredients. And, for some extra trivia when you give your loved one the gift, the start-up was founded by two MIT graduates who worked on engineering a robot to fill their orders. Function of Beauty available in 8 oz. ($16) and 16 oz. ($38) sets.